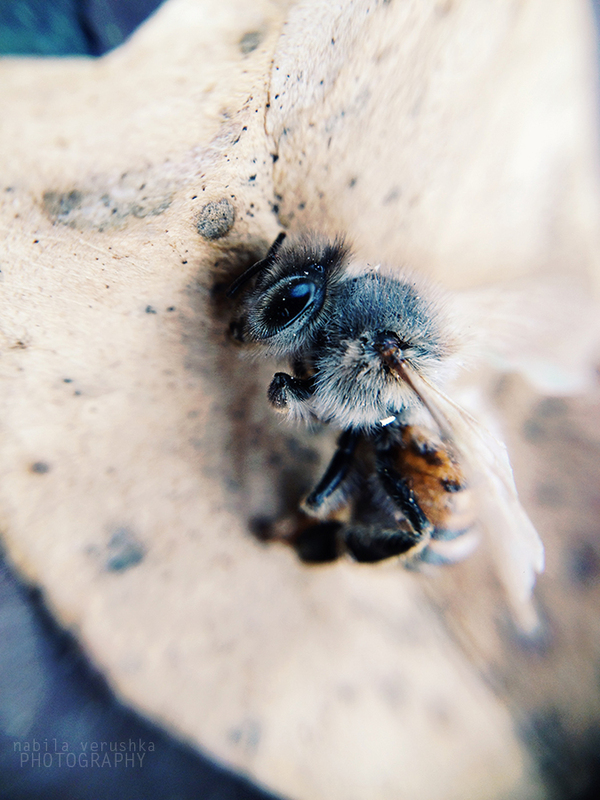 The other day while I was taking a walk around my neighborhood, I found a little bee chilling on the sidewalk. To my dismay, it wasn’t just chilling, no, it was actually dead. This, like any other time I’ve stumbled upon dead animals in my neighborhood (I’ve seen stray cats, ducks, possums, etc) made me unbearably sad. Feeling like a five yr old, I picked it up with a leave and walked the rest of the way home to give it a proper burial. 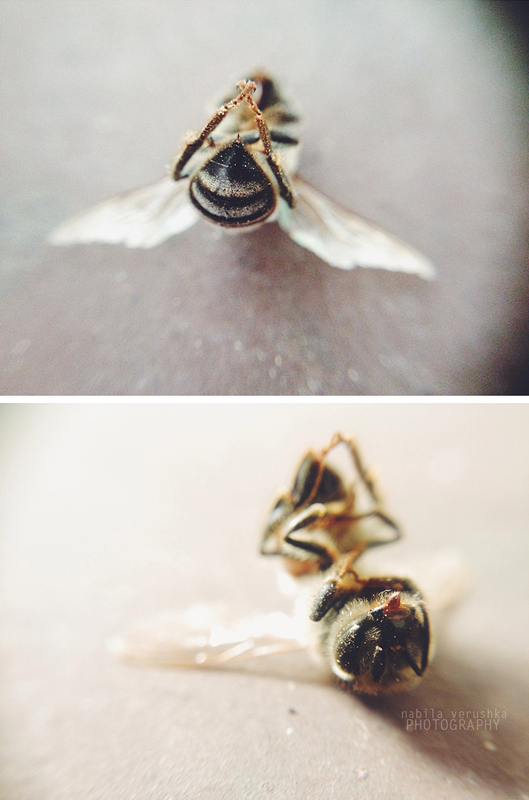 But before doing that, I decided the poor bee needed a post-mortem photo shoot. I know that sounds weird but just go with it. The thing is, bugs fascinate me. Bees, beetles, butterflies–you name it, I’ve probably photographed it (except cockroaches, I hate cockroaches *shivers*) whether they be buzzing around doing their daily activity or lying on the ground dead. It’s a fascination I can’t explain, but if you’ve ever looked through a macro lens and focused on one of these creatures, I think you’ll understand perfectly. 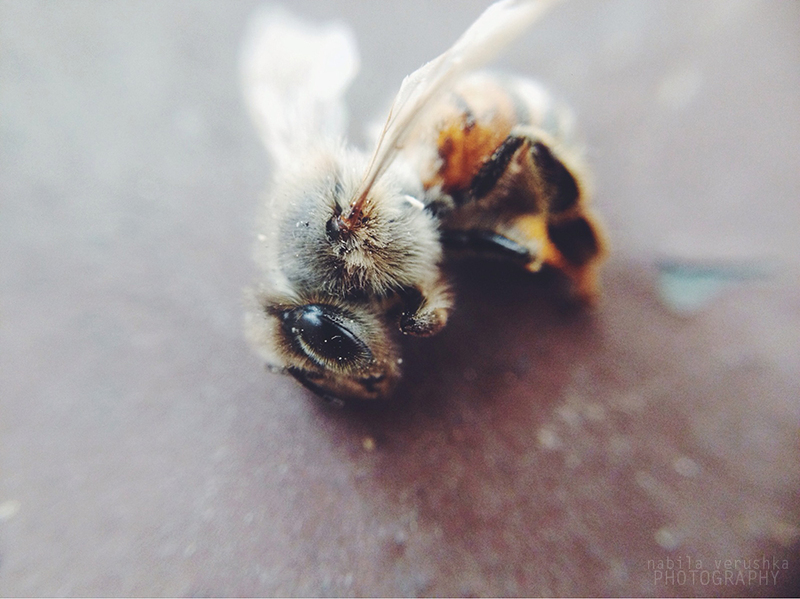 As morose as it sounds, dead bees make great models. 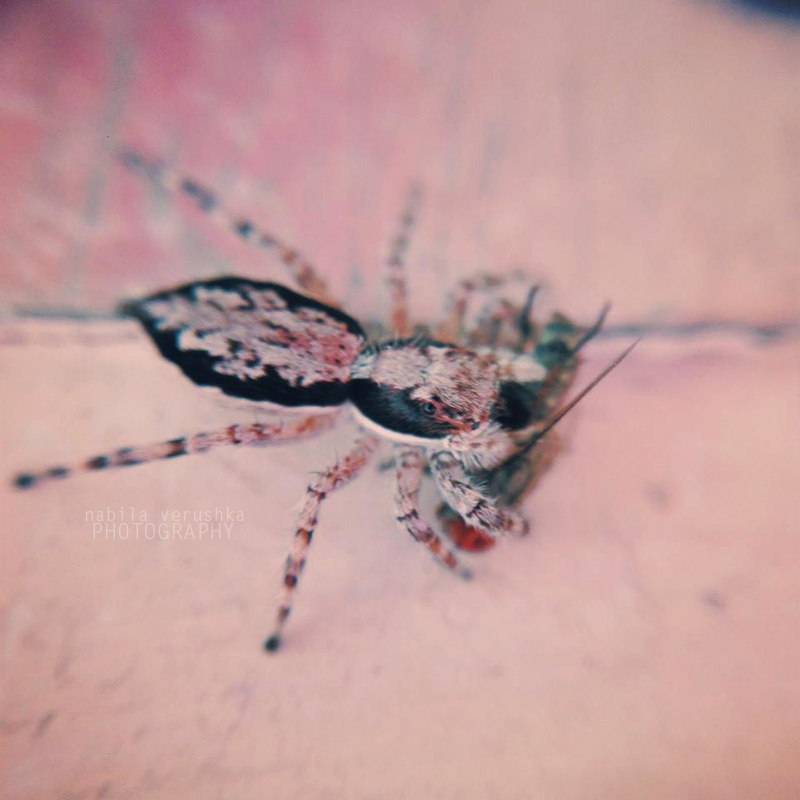 all images were taken with my iphone 4s and the Squidcam macro phone lens.